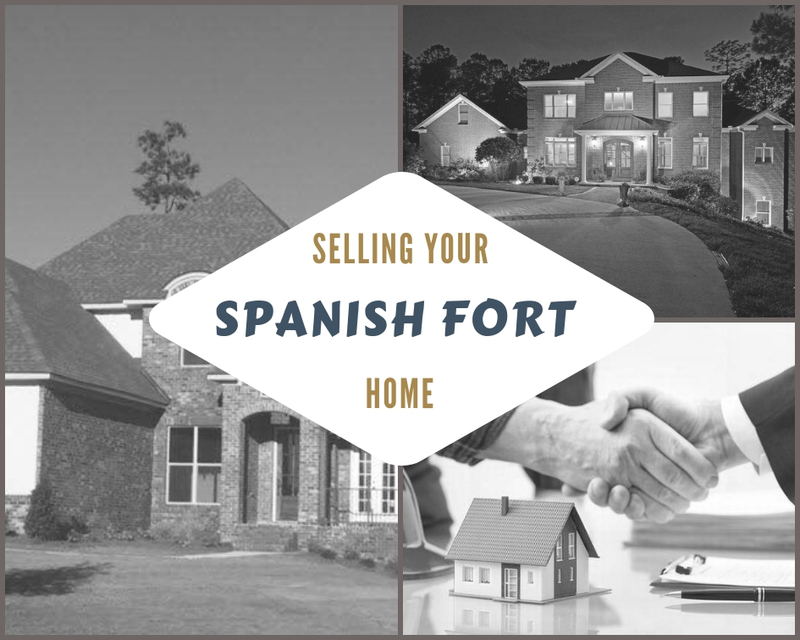 Are You Ready to Sell Your Home in Spanish Fort? Well, the real estate market is very strong in this town with nearly 1 closing every day of the month…..just in Spanish Fort. So the demand is there but with the rise of new construction and competition, you still need a competent Realtor to keep your home from going stale in the marketplace. We are still in a slight Buyer’s Market! I run the numbers every month for Spanish Fort and buyers are (on average) getting 3% off of the list price. You need an expert who understands market conditions and someone who can still get you the best possible price while staying competitive. There is an art and a science to selling homes. There are many little factors and opinions that work together to put a “Sold Sign” in your front yard but unless you have the following, your property will likely not sell anytime soon. Generating the right price upfront is the most important key to selling your Spanish Fort home. If you are priced too low, you obviously have the potential of losing money. If your home is priced too high, you run the risk of your property being shown very little and you never seeing an offer. My market analysis will not only include homes that have sold but also those that didn’t. I’ll analyze why properties sell and why they don’t. When I meet a seller for the first time, I’m walking in with the thought of putting you at the closing table, not just putting a sign in your front yard. Throughout my real estate career, I’ve been in thousands of homes and have attended hundreds of closings. I can give you sound advice on what to do right now that will attract the most potential buyers. Some things might cost you a little bit of money but many of my ideas won’t cost you a dime. In the end, you will be closer to selling your Spanish Fort home. Your listing will be seen everywhere! In order to get the best possible price in the least amount of time, you need to get the right exposure for your listing. Today, the vast majority of buyers (over 90%) do the bulk of their real estate research online so it’s important to work with someone who is very internet savvy. In marketing your home, we’ll highlight the most unique and sell-able attributes of your home, then post it to the masses. Your listing will be put in front of the right buyers all over the country through a myriad of websites, social media outlets, and search portals. It’s important to know that I operate 7 local real estate websites, one of which is one of the most visited sites in our area for real estate. Your property will get promoted. With the right combination of pricing, preparation, and marketing your property should not only sell in a timely fashion but you should also realize the best possible price. 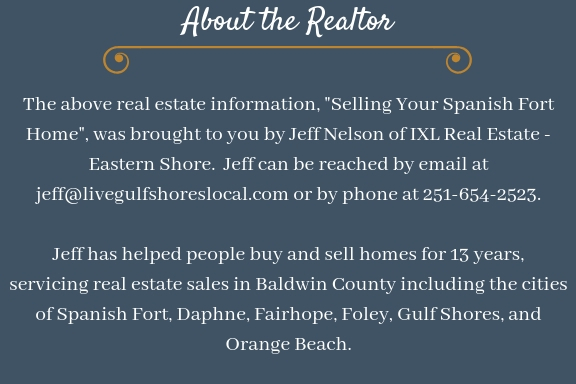 Would You Like to Learn More About Selling Your Spanish Fort Home? Give me a call today or send me an email! At this stage of the process, you are in the best position to win. You will get a free home analysis based on realistic market conditions. You’ll receive advice on how to better prepare your home to sell quickly. You are under no obligation at any time. Honesty is paramount with me and when we have our first consultation, I’m going to provide information that you need to know, not necessarily what you want to hear. You literally have nothing to lose. If you list your home with us and are not satisfied at any time, we can cancel our agreement to sell your home. This is my Easy Exit Guarantee to you!